Dr Dennis Gross Skincare Pro Facial Steamer is a premium, at-home steamer device that delivers professional, spa-like results in as little as nine minutes. Ideal for all skin types, particularly dehydrated complexions and enlarged pores, the rejuvenating device delivers micro-steam technology to infuse skin with hydration while clarifying the complexion and helping to decongest pores. Hydrating and purifying in a single step, the invigorating steamer leaves skin primed for the next steps in your regime; it maximises absorption and efficacy of subsequent skincare products. Softening and detoxifying, expect a dewy, soothed and radiant-looking complexion. Cleanse face thoroughly and pat dry. Fill the water tank with distilled water. Turn on device and steam for up to 9 minutes. 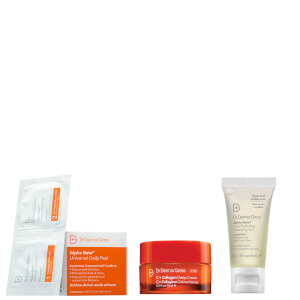 Choose your Alpha Beta® Peel, followed by a Dr. Dennis Gross Skincare™ serum and moisturiser of choice. Use 1-2x per week or as needed. 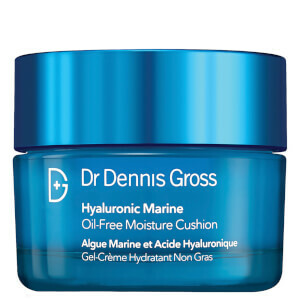 For dry, dehydrated skin, use for 8-12 minutes. For combination skin, use for 12-15 minutes. For oily skin, use for 15-20 minutes.